Nice large deck plan for the beautiful QE2. 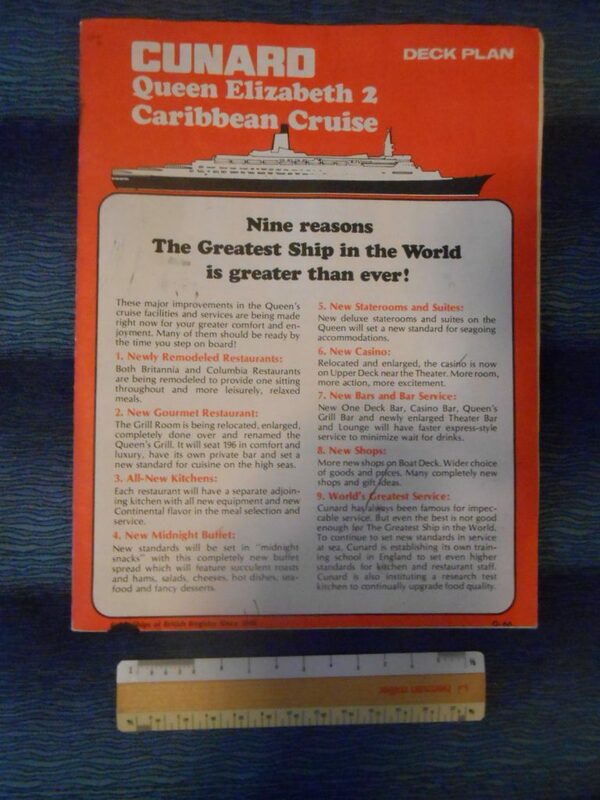 The tag line touts the 9 new reasons to travel onboard the QE2. These range from the midnight buffet … to the new suites and accommodations. Pretty nice with a few pen and pencil markings. 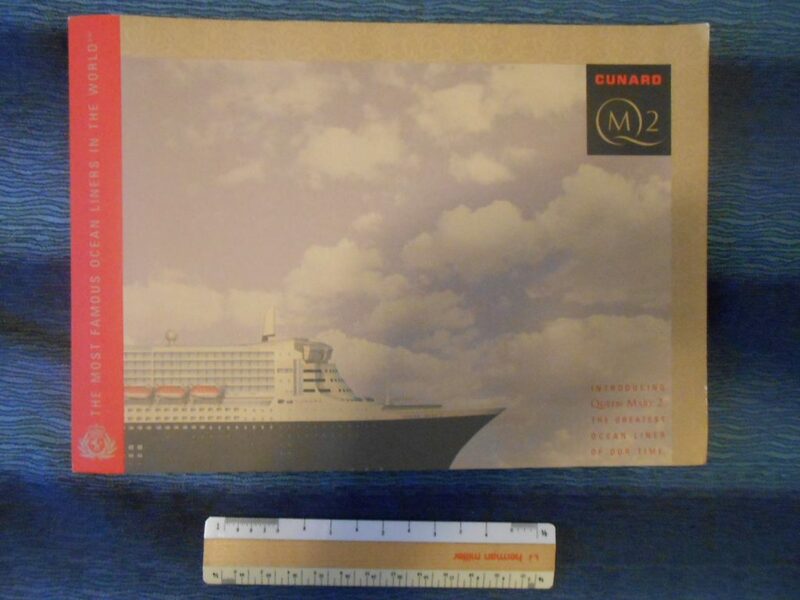 The first and best brochure ever done for the “Greatest Ocean Liner of our time” .. the QM2. 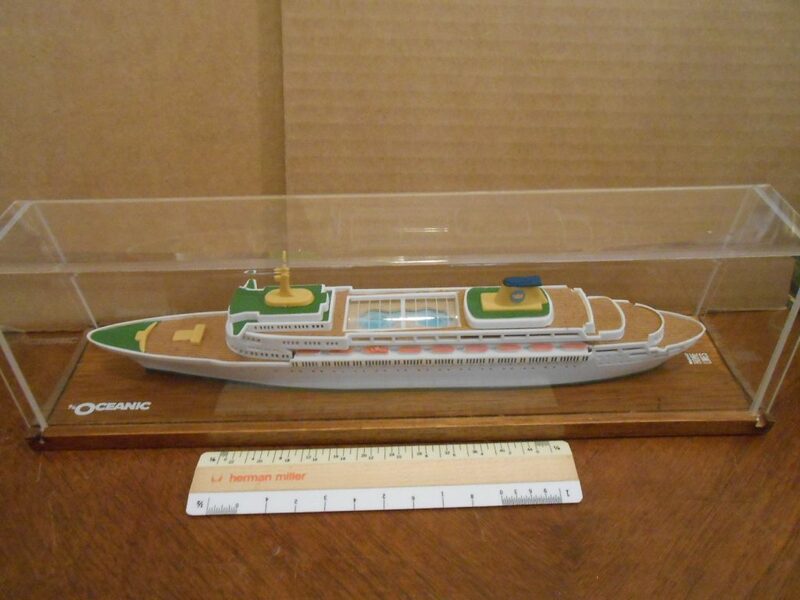 Super thick and filled with renderings of her interiors and all other sorts of great info about the ship. 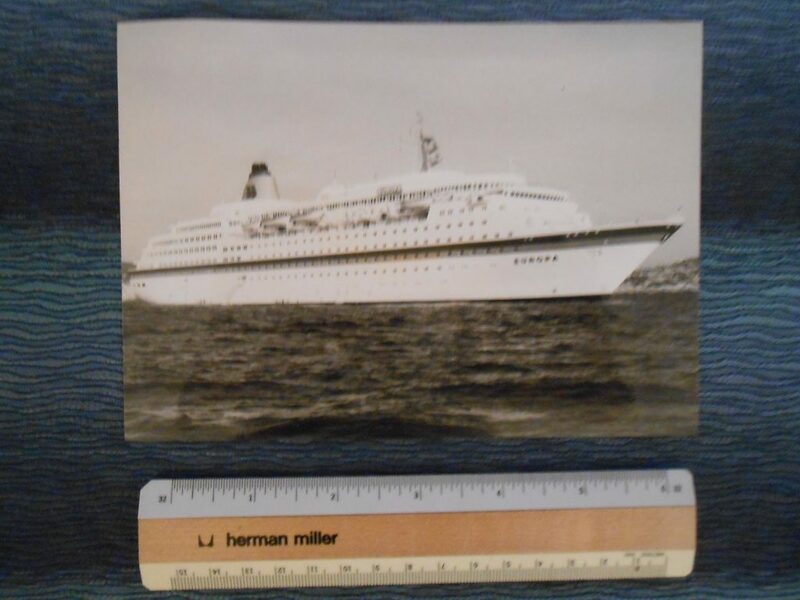 These are getting harder to find .. though Cunard printed lots of them! 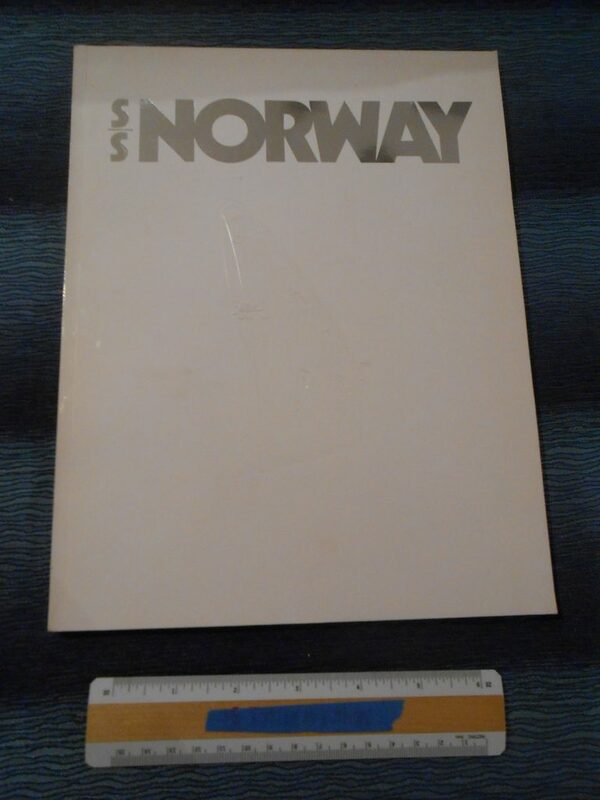 A pristine copy of the “Norway” .. the lovely book dedicated to telling her conversion from the France to the Norway story. Written by john Maxtone Graham, the book is rich in text, prose and pictures of the amazing conversion and ship’s story. 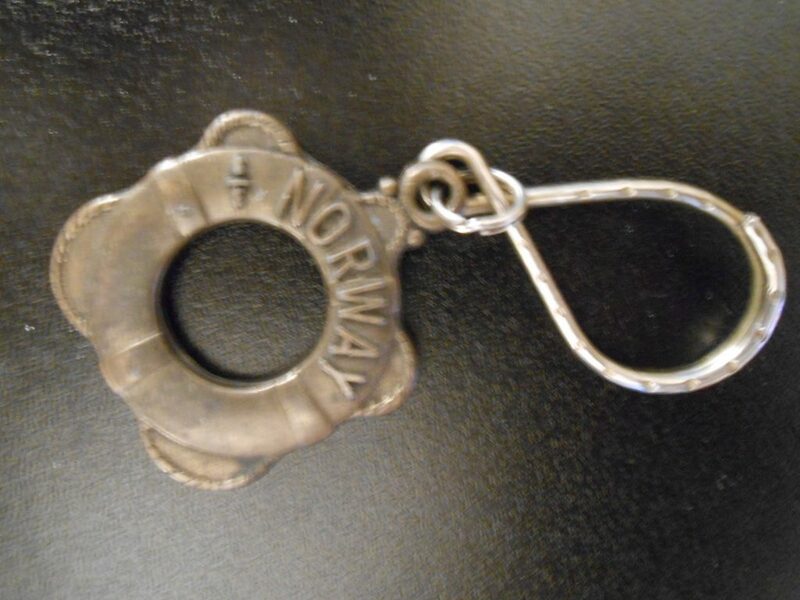 This would have been the Ultimate souvenir to purchase onboard during her debut seasons as the Norway. Pristine and gorgeous! … love the richly embossed cover! 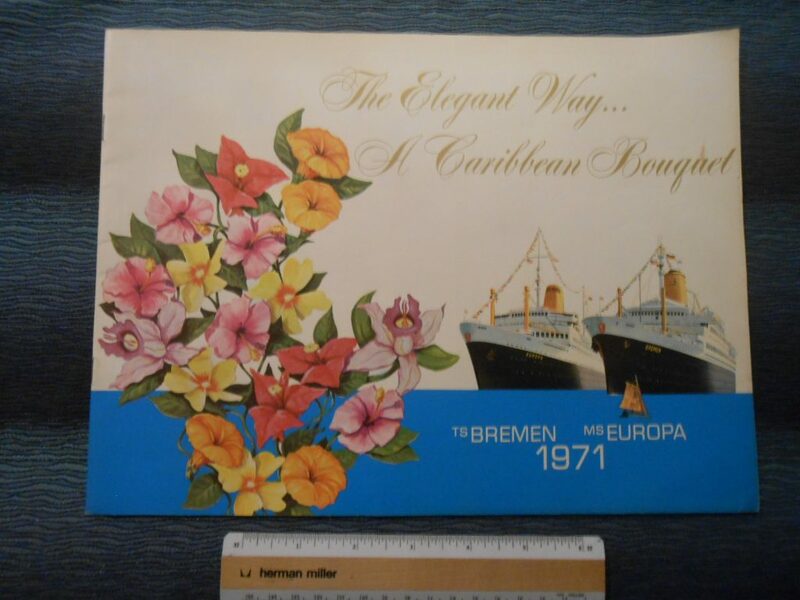 A lovely brochure for the dual liners and their 1971 Caribbean cruises. Excellent floral cover graphics and great color inside .. this is a beautiful brochure for sure. Another few years and both ships would be sold off to other owners. Can you spot the minor graphic cover flaw that puts my design OC in hyper drive? 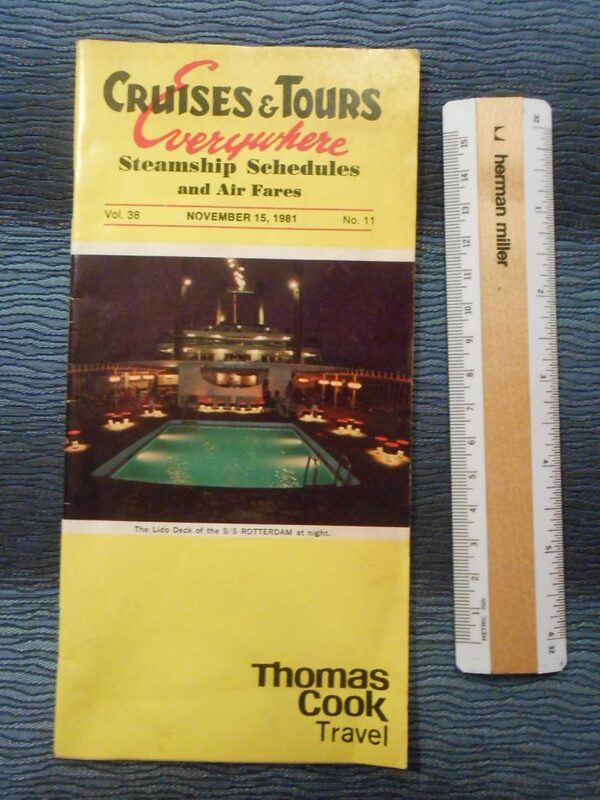 Nice folder by TC … showing multi like cruises in 1981 (and some related air fares). The cover shows the Rotterdam’s pool and lido deck. 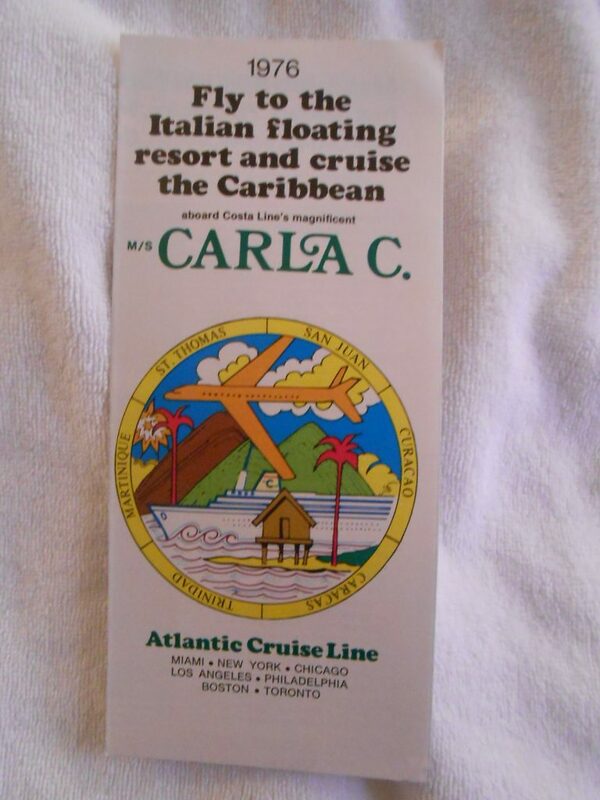 Nice flyer for 1976 Carla C Cruises in the Caribbean.. Lovely mod squad graphics and a few pictures. Once the French Line Flandre … this lovely lady spent some time with Costa. Nice flyer for the January 1977 Country and Western Cruise of the Federico C. Lovely mod squad graphics and a few pictures. 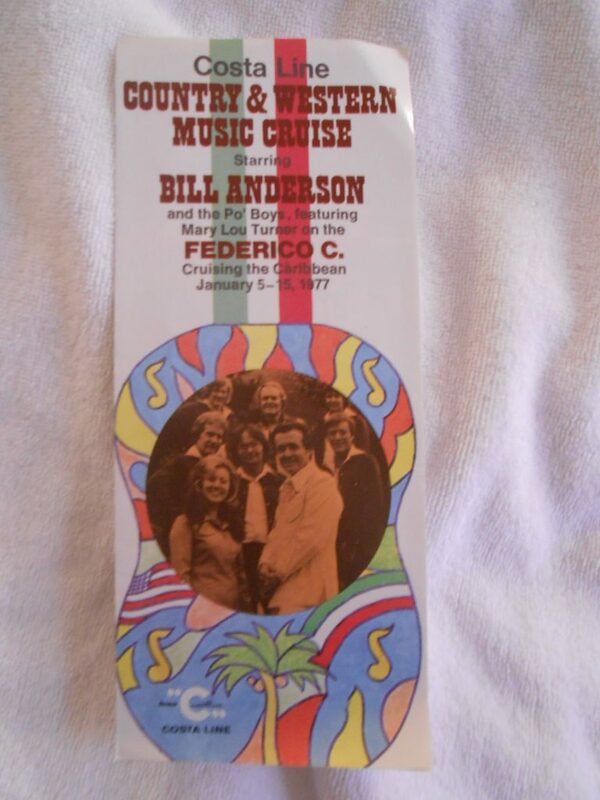 The cruise featured Bill Anderson and Mary Lou Turner. 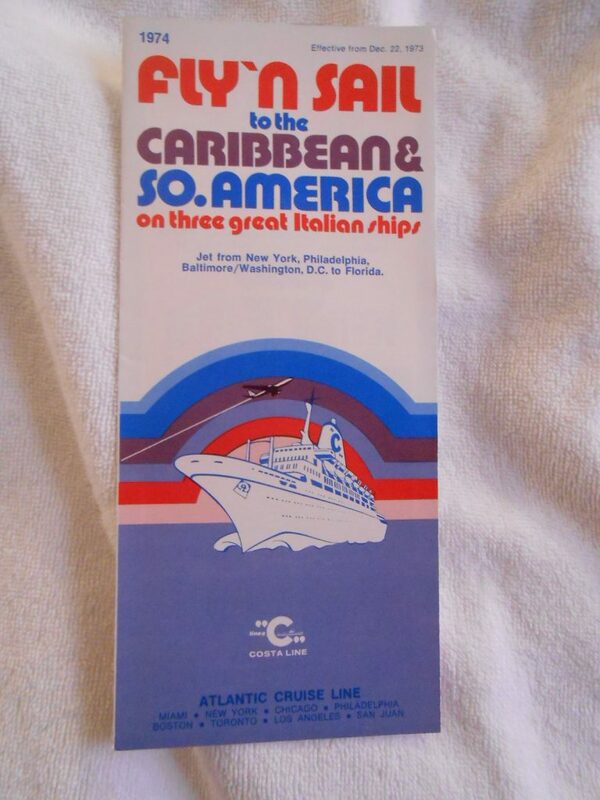 Costa Line: Jet n Cruise 1973-74 flyer for 5 great ships! 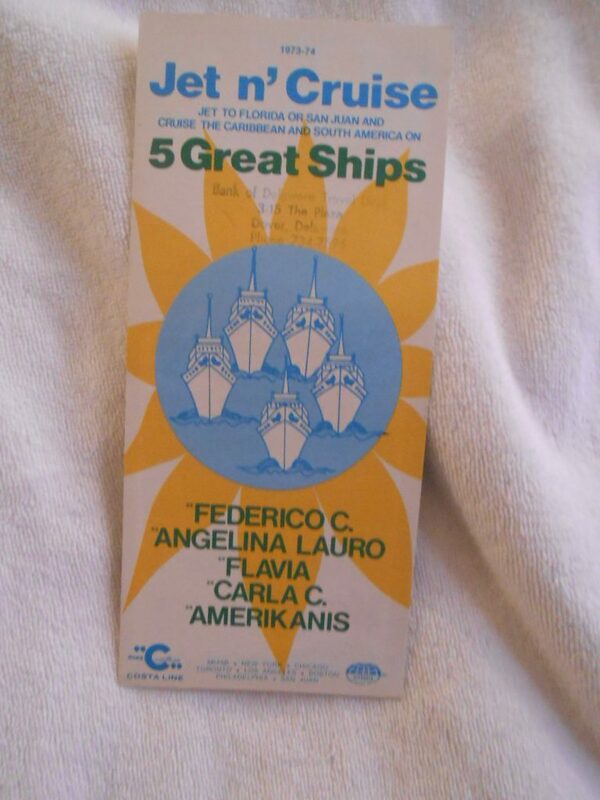 Lovely little flyer for the 5 lovely ships: Federico C, Angelina Lauro, Flavia, Carla C and Amerikanis. Super 70’s graphics. great cruises out of San Juan and Pt. Everglades. Costa Line: 1974 Fly N’ Sail Cruises Flyer: Federico C, Angelina Lauro and Flavia. 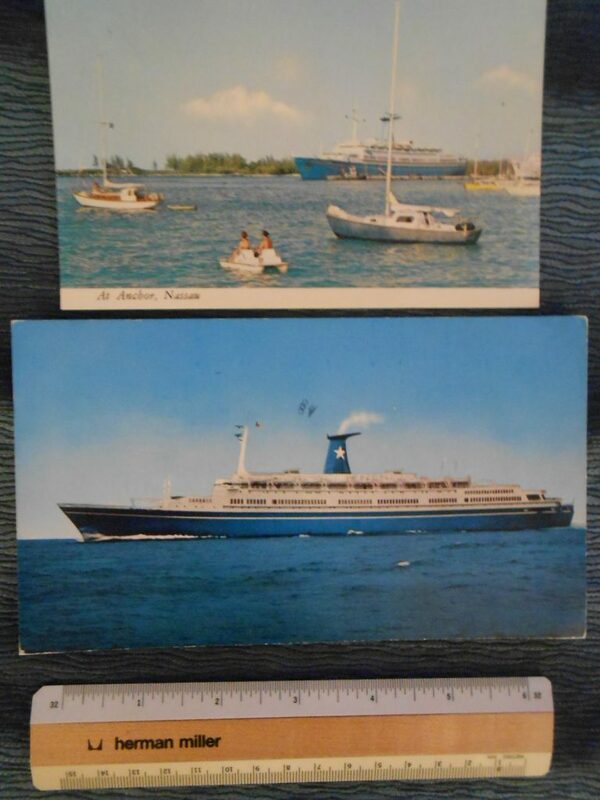 Lovely little flyer for the 3 lovely ships: Federico C, Angelina Lauro and Flavia. There cruises were staged from multiple American ports: NYC, WDC , Philly and Baltimore. Super 70’s graphics. 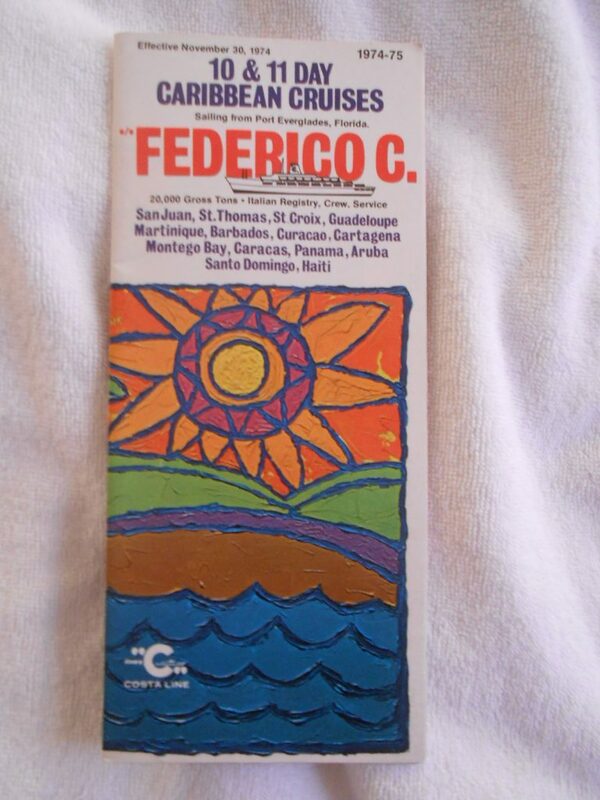 Lovely DP brochure for the beautiful Federico C’s 10 and 11 day Caribbean cruises in late74 and early 75. Lots of of lovely interior photos and information about the ship. Great Profile and deckplans as well … super colorful and 70’s graphics throughout. 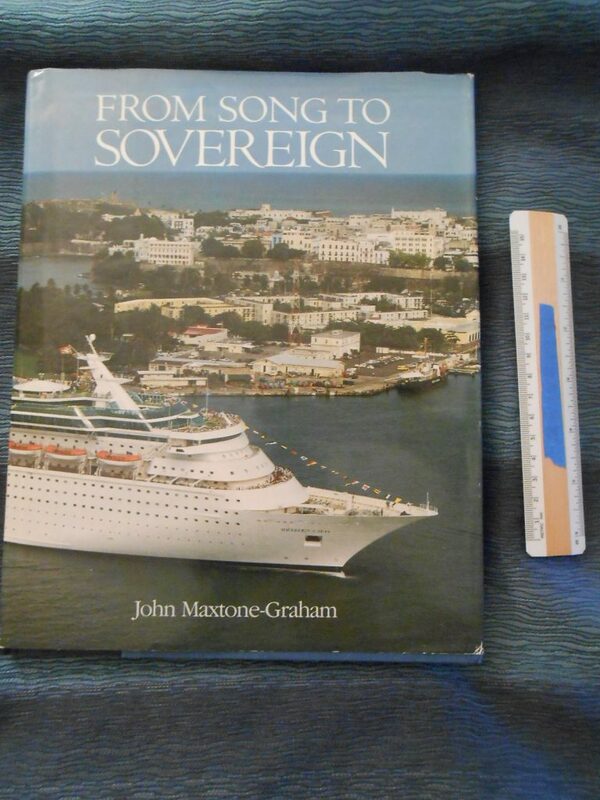 Very nice book to introduce the new Sovereign of the Seas into the RC fleet. 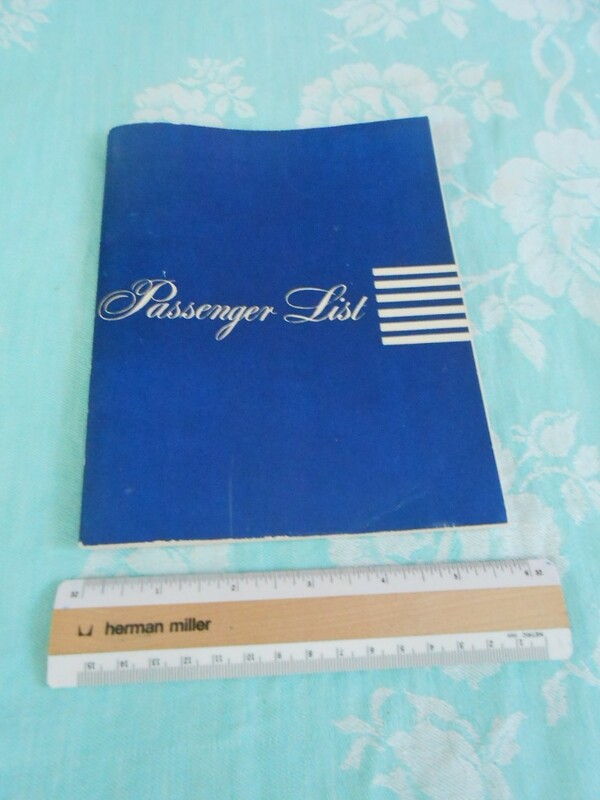 It does cover some of the early history of the line … by most of the book is pure info on the newest fleet mate. Being a work by John Maxtone Graham, make sure you have your Shakespearian thesaurus and dictionary at the ready … you’ll probably need it to help translate some of the dramatic maritime prose. Excellent condition. Costa Marketing produced some of the finest brochures in the later 70’s and 80s … and this one for the Daphne sure is stunning. There are 16 pages of color interior photos as well as color coded deck plans. A beautiful cruise ship, she started life basically as a freighter for the Port Line. 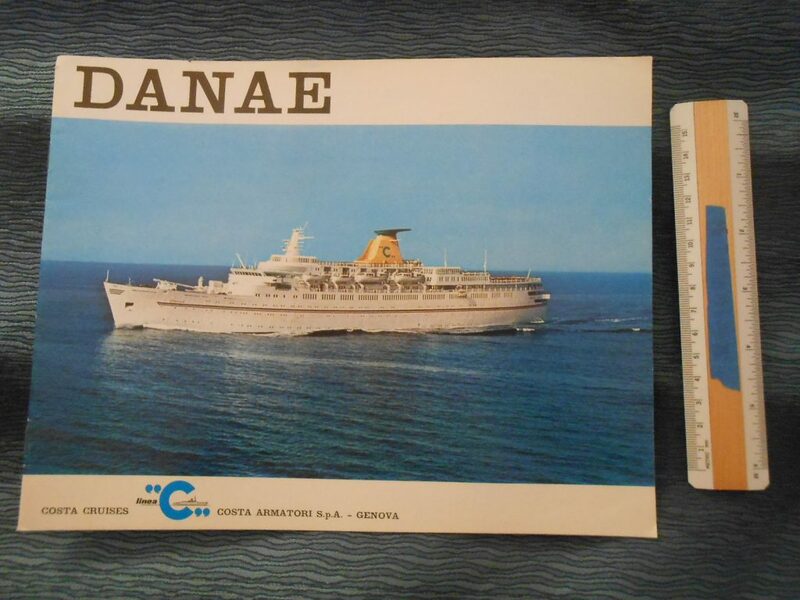 The text and information is written in 3 different languages: Italian, German and English: From 1979 when she joined the Costa fleet Excellent condition. Probably the ultimate souvenir you could have from your voyage onboard would be one of these high quality and detailed models. These were probably also used at local travel agencies. Great official photo of the lovely Europa. Nice Hapag Lloyd sticker on the back. Good shape! Lauro Lines: 2 Angelina Lauro postcards. One used and one unused postcard showing the Angelina. The used card is dated 1976 …a few years later she would be a burned out hulk. 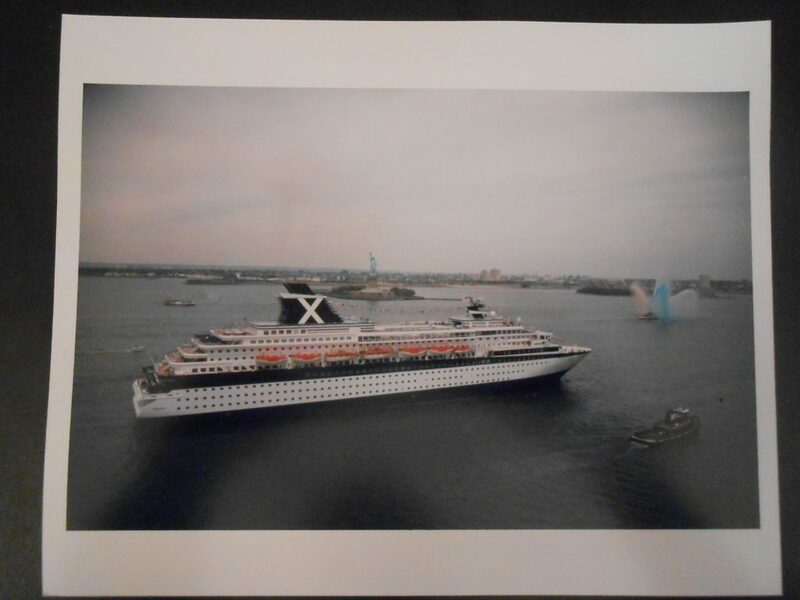 The unused card shows her anchored at Nassau. 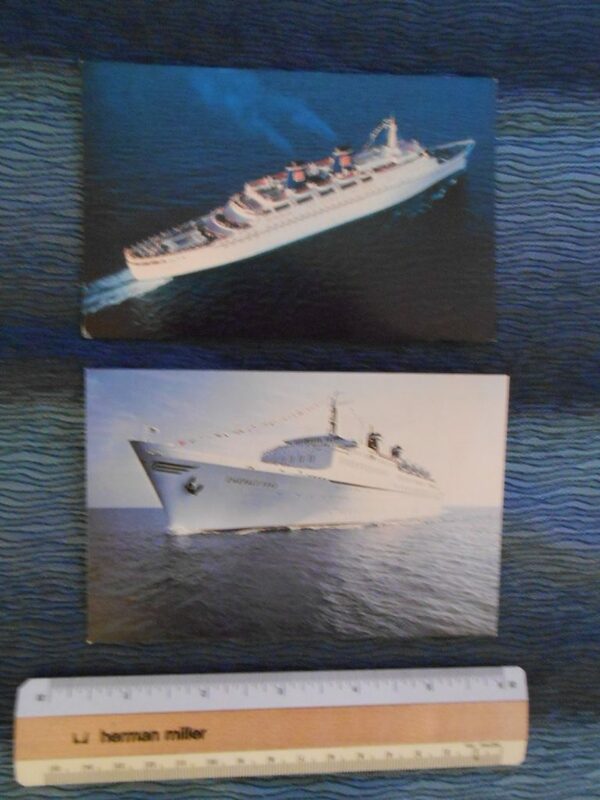 Eastern Cruise Line: 2 SS Emerald Seas postcards. Two unused Postcards for the long lived ship! Once the flagship for APL … she was sold to Chandris and became the Atlantis. After a year or 2 she was sold to eastern and sailed the Caribbean for years before going to other owners. 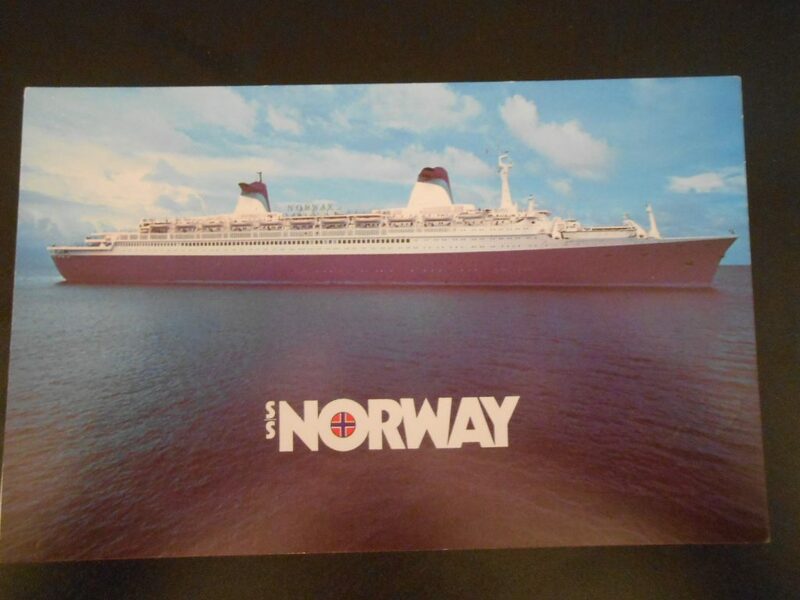 EARLY postcard for the “new” SS Norway … Shown when she was fresh from her early refit from the SS France. Excellent condition. Great Life preserver motif brass colored key ring. I’m sure this was purchased onboard in the gift shop. The Horizon slows passes the Statue of liberty while a Moran tug is positioned off the Starboard bow … in the back ground is a fire boat spraying red white and blue water in celebration. Great photo! Neat Tourist Class Passenger List for the ships crossing from Southampton via Harve to NYC. The booklet includes lots of info about the ship, her sister the SS America and even a sailing schedule for the 1956 season. In excellent shape! 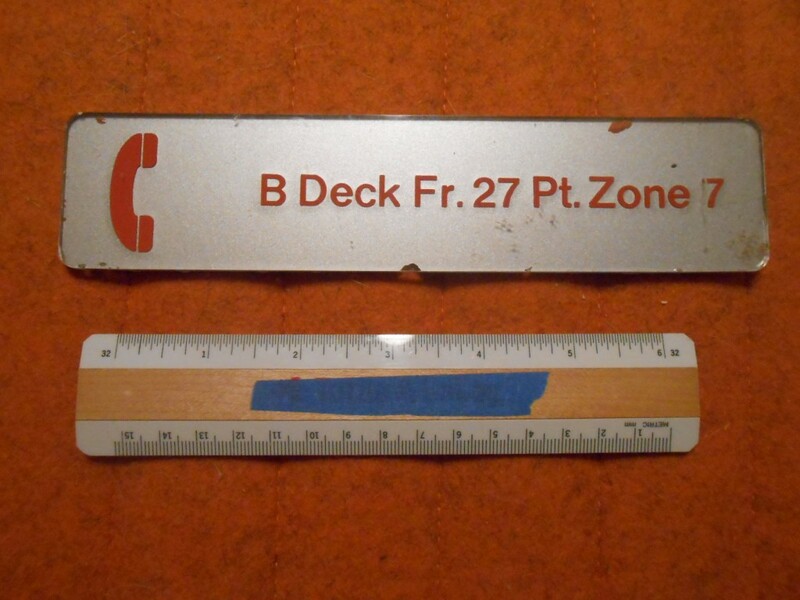 A Phone Plaque that was removed form the NCL Norway before she was towed to Germany and finally Alang for dismantling. This one comes from the B deck … and I am sure France/ Norway fans can decipher the exact location. 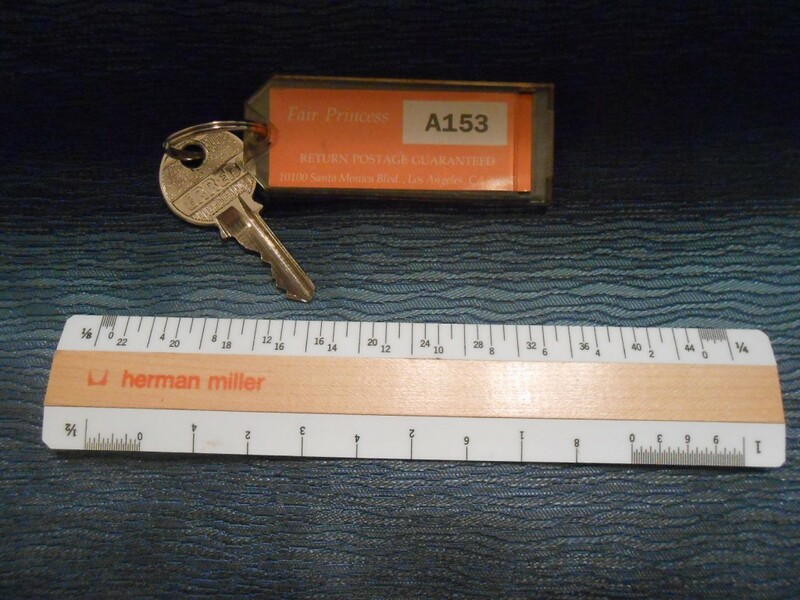 Made from very heavy plastic. 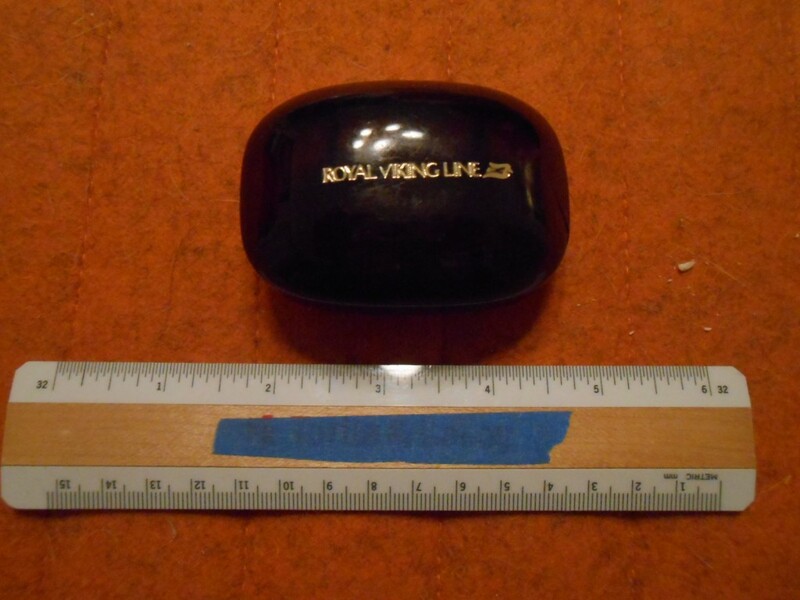 Cute little soap carrier from my favorite little cruise line. This probably would have been given to guests when the boarded and could be used through out the cruise and on over night shore excursions. 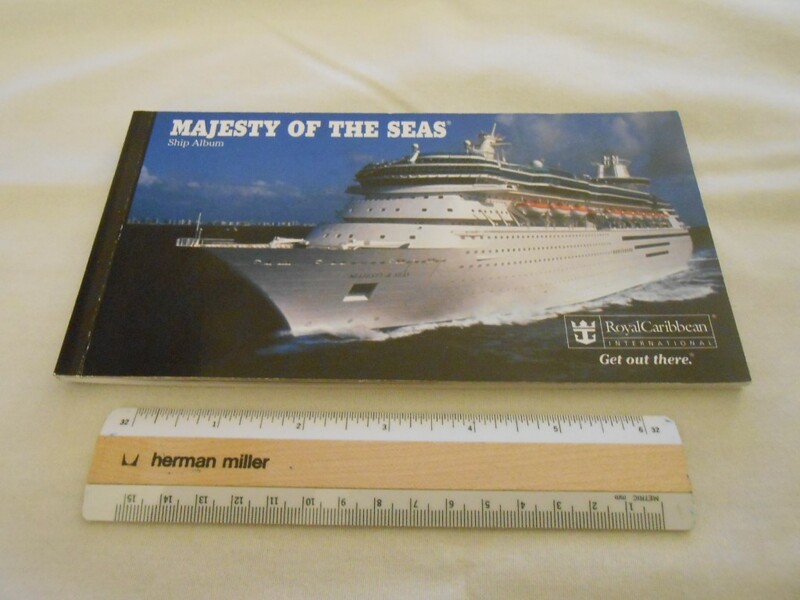 Great postcard album for the Majesty of the Seas. About 10 postcards of her glorious interiors and one of the pool area. A pretty attractive ship of modern design … at least she’s not a floating semi trailer with balconies. 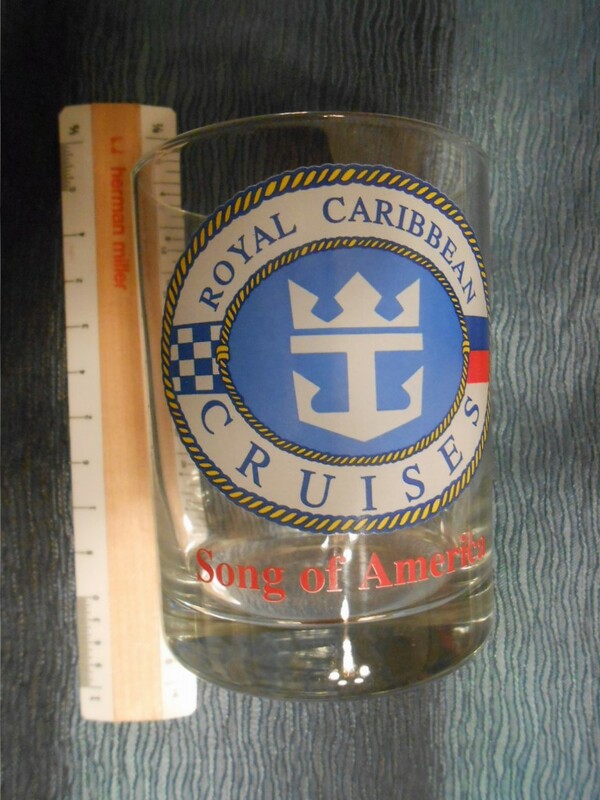 Lovely tumbler like glass for the SOA … one of Royal Caribbean’s lovely white cruisers from the 1980’s. Colorful like new condition.